Brand new for the astute buyer is the best set of wheels in town. If you’re on the lookout for a small-to-medium Coupe, then BMW have the deal for you. Modern and ready for excitement, the BMW 4 Gran Coupe is very definitely grand and very definitely impressive. 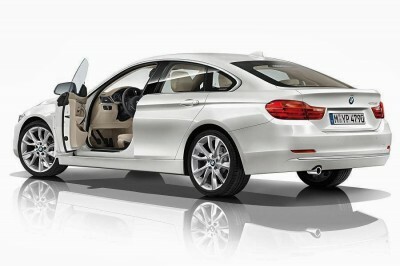 This is a high quality product from BMW designers, and the 4 Gran Coupe is the epitome of the 4 Series models. The BMW 4 Gran Coupe has nice packaging, similar to the finishing on other 4 Series versions; however, there is more than a fair share of real premium kit reserved for the Gran Coupe. BMW 4 Gran Coupe variety can be accessed through a wide list of options to ensure that your own model caters for your individual tastes. Numerous colours (exterior and interior) and materials for the cabin environment add to the great flavour you’ll enjoy in your own distinct 4 Gran Coupe. Do check out the leather seats in Ivory White as they are very exclusive and sumptuous. You wouldn’t be looking at the 4 Gran Coupe if you weren’t somehow lured in by the car’s lovely, seductive looks. And you can get yourself into one of these stylish numbers by purchasing the base model BMW 420i Gran Coupe. A 2.0-litre fuel efficient 4-cylinder petrol engine is linked to a quick shifting 8-speed sport automatic, and the result is a sprightly drive that has a juicy bit of torque in the low-to-mid range, which then meets the full 135 kW of power in the upper portion of the engine’s revs. Another of the petrol models is the BMW 428i Gran Coupe. With an enhanced 2.0-litre engine, power is increased to a healthy 180 kW and torque is right up there with the best in class at 350 Nm. The extra power aids the 428i to finish a 0-100 km/h sprint in a fraction over six seconds. As the top of the line model, the 435i Gran Coupe is a real performer that loves to strut its stuff anywhere, anytime. As you can imagine this is the quickest of the petrol versions, so if you like experiencing life at speed, then this will be the model for you. As is common to most car manufacturers these days there is a diesel engine for getting the job done in the most fuel efficient manner. My pick of engines for the 4 Series Gran Coupe isn’t the quickest, but it does offer an inspirational drive that’s easy on the pocket – and that’s in the form of the brand new BMW 420d Gran Coupe. Out on the road the 420d Gran Coupe is agile and supple. Any of the models enjoy a good romp in the country, and the ride is one of the best in class. Making things as safe as they can be is what the design team at BMW has sought to do; and the road holding and chassis control is first class. Flick on any of the quality high-tech features and you have quite a car that impresses not only driver, but the occupants as well. An Active Protection safety package is standard for all models, and the system even detects an imminent accident. Where an accident is detected, the seatbelts are pre-tensioned, windows closed, sliding sunroof is closed (if fitted) and the vehicle is braked to a complete stop. As far as airbags are concerned, there is a full array of them. Five-star safety is a given. Active safety features for all the 4 Series Gran Coupe models include Dynamic Stability Control (DSC), an Antilock Braking System (ABS), Brake Assist (BA), Cornering Brake Control (CBC) and Dynamic Traction Control (DTC). Truly the real deal in Coupe design, the 4 Series Gran Coupe is all the Coupe you’ll ever need. For any more information on the new BMW 4 Gran Coupe or, for that matter, any other new car, contact one of our friendly consultants on 1300 303 181. If you’d like some fleet discount pricing (yes even for private buyers! ), we can submit vehicle quote requests out to our national network of BMW dealers and come back with pricing within 24 hours. Private Fleet – car buying made easy!